Goddamn. When I saw the title, I thought for a moment that I stumbled upon some scientific paper about grindcore. And boy, was I wrong. Democide is a grindcore/powerviolence trio from Illinois. In the past, they released an album called No Sir, I don’t Like it with a hilarious album cover, probably made in Microsoft paint. 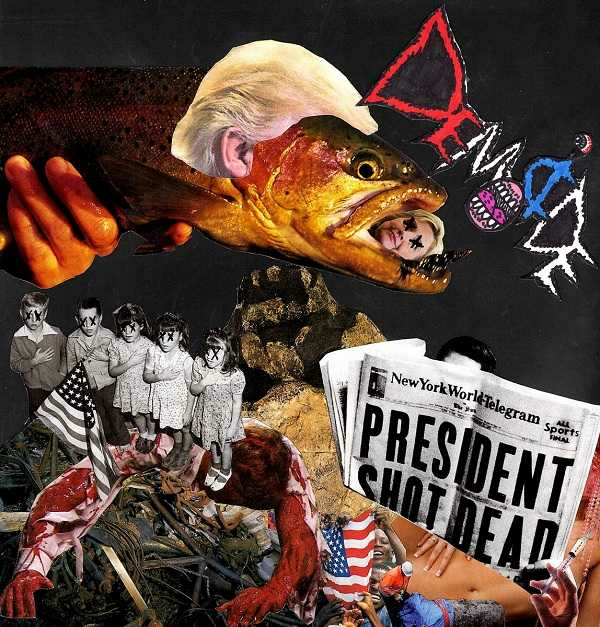 The moment you look at the album cover, you know what you’ll get – a Trump-headed trout swallowing Hillary Clinton with black-and-white kids with X markers on their eyes pledging allegiance to the flag „standing” on some mutilated body, with a newspaper on the right with The President is Dead headline. And then you push the play button and hear Trump saying: And then I tweeted “it’s illegal! We’re tired of the nice people…’Cause they’re stupid…Terrible people…Unbelievable people are coming… They’re coming from all over the world….Total Control…Ding Ding, Bong bong, Bing Bing Bing…Now, here’s the good news! I probably tweet… It’s a question…. Ding Ding, bong, bong, bong…It’s a question…But What Do I know?...We will have no choice, but to totally destroy American dream! Totally Destroy American Dream! DEAD! Well, Democide’s A Formal Study of American Politics and Culture is a pretty neat, original and fun album to listen to. Pretty damn refreshing stuff in the sea of mediocrity that surrounds our everyday life. I must confess that this album is the best thing to listen to while fishing. And I almost forgot, who the hell is reading nonsense like this? 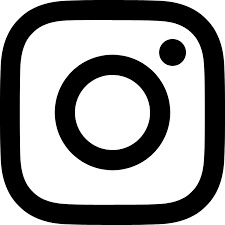 If you like what we are doing, like our Facebook page, follow us on Instagram & Twitter and subscribe to our Youtube channel to help us grow! Big shout out to our patron Season of Mist. You can also support us by donations via Paypal and by becoming our patron! Don’t forget to like & share this article! Rotting Christ – The Heretics album review!